Tags: idle, champions, early, access, update, wintershield, barrowin. It’s considered lucky to possess and examine a map on Wintershield, so put on your most durable boots and head out into the streets of Waterdeep to claim one for yourself in this new limited time event. Complete the adventure and you'll recruit the stout gold dwarf cleric, Barrowin Undurr, who has some unique buffing mechanics and shares a seat with Tyril. This event will run until January 8th, 2018 at noon PST. Good luck! When you want to add Barrowin Undurr to your party, you can swap her with Tyril. Only the Strong Survive — Only Champions with a Strength stat of 13 or higher can be used. This includes base Champions Bruenor, Celeste, Nayeli, Minsc, Tyril, Jamilah, and Arkhan, and event Champions Gromma, Krond, and Barrowin Undurr. Added the Wintershield event, our fifth limited-time campaign event! The event will run until Monday, January 8th at noon PST. Added a new Champion: Barrowin Undurr, the Gold Dwarf Cleric. Added a new event Divine Favor: Oghma's Favor. Tags: crusaders, buff, weekend, fun, t'is the season. 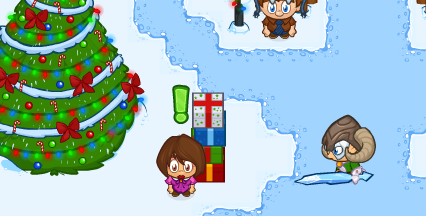 The holiday season is upon us again, which means a new handy-dandy buff weekend! The following Crusaders will get a buff this weekend starting from today until Noon PST on Monday, December 25th. Check out these limited-time Seasonal Jeweled Chests that contain equipment for just the five Crusaders above! Tags: crusaders, buff, weekend, fun, greedy ghosts. Finding the new Ghostbeard's Greed tier 4 objectives challenging? Fight back with these handy buffs! The following Crusaders will get a buff this weekend starting from today until Noon PST on Monday, December 18th. Check out these limited-time Greedy Jeweled Chests that contain equipment for just the five Crusaders above! Tags: idle, champions, early, access, twitch, plays. VICTORIA, BC – December 14, 2017 - Codename Entertainment is proud to announce the launch of Twitch Plays Idle Champions of the Forgotten Realms. Now players can combine their idle clicker expertise and play the highly-rated PC game together with thousands of other members of the community 24 hours a day. 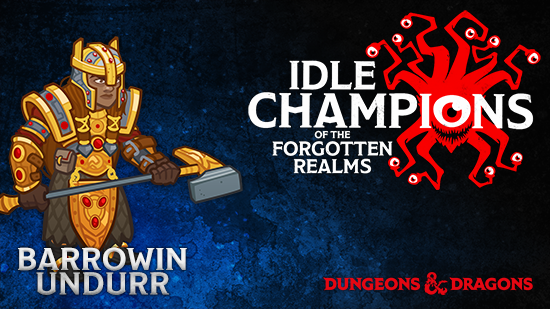 Twitch Plays Idle Champions of the Forgotten Realms enables fans to play collaboratively, entering commands, and voting on significant actions in real-time. The options include choosing the formation strategy of the party, when to use Ultimate Attacks, and even when to reset and start a new adventure. 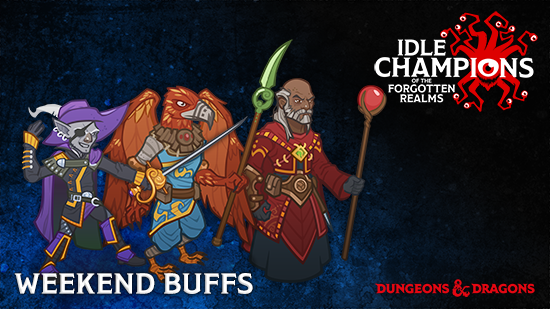 Twitch Plays Idle Champions of the Forgotten Realms is available to play right now on its own dedicated Twitch channel (www.twitch.tv/twitchplaysidlechampions) plus it will be featured regularly on the official Dungeons & Dragons Twitch channel (www.twitch.tv/dnd). Idle Champions of the Forgotten Realms is an official free-to-play Dungeons & Dragons-based clicker game. Assemble a party of Champions and master the art of Formation Strategy. Upgrade your heroes, collect unique gear, and unlock new Champions in regular new events. 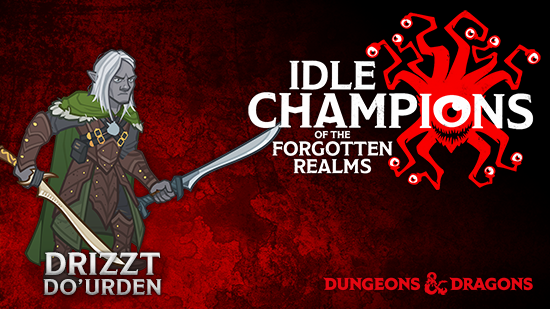 Go to www.IdleChampions.com for further information on the game and search for Idle Champions of the Forgotten Realms on Steam. Codename Entertainment Inc. is the award-winning indie video game studio based in Victoria, British Columbia. The studio's previous game, Crusaders of the Lost Idols, has remained popular since launching in 2015. It has stayed in the Top 1% of games by concurrent player count on Steam. It's also one of the Most Played games out of more 113,000 on Kongregate.com, and it is consistently ranked in the Most Popular Games on Armorgames.com. The characters Arkhan and Chango are trademarks of 3:59, Inc. and are used with permission. © 2017 3:59, Inc. All Rights Reserved. All other trademarks are the property of their respective owners.